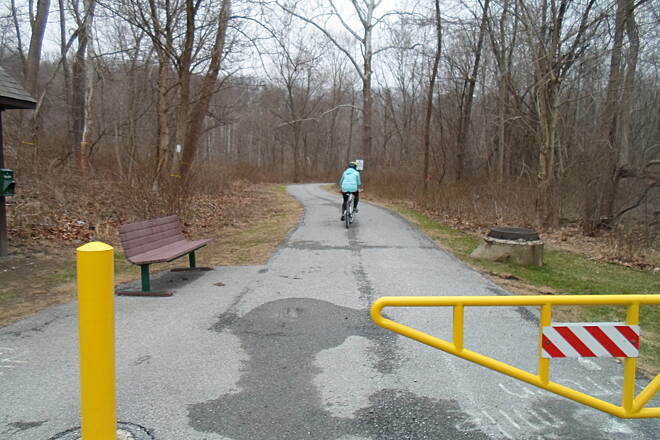 The Chester County Parks & Recreation Department opened this trail in 1979 on part of a former Pennsylvania Railroad right-of-way. 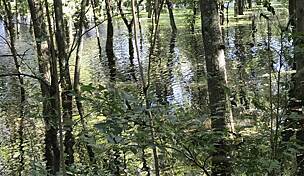 Today the 2.6-mile trail attracts more than 125,000 visitors each year. 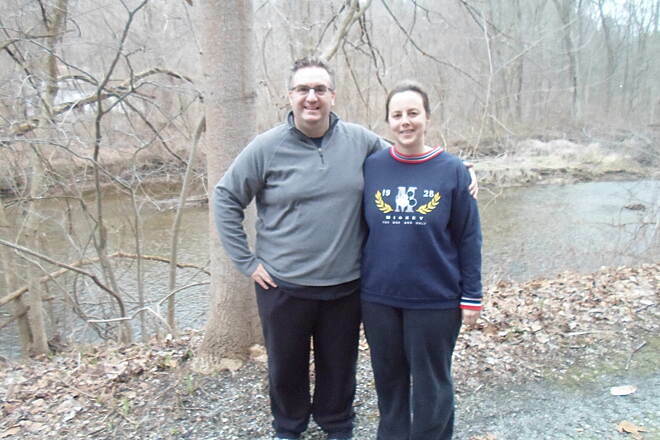 Named for the late Robert G. Struble, a teacher, conservationist, county commissioner and Brandywine Valley Association executive director, the pretty trail parallels the East Branch of Brandywine Creek for a short distance. 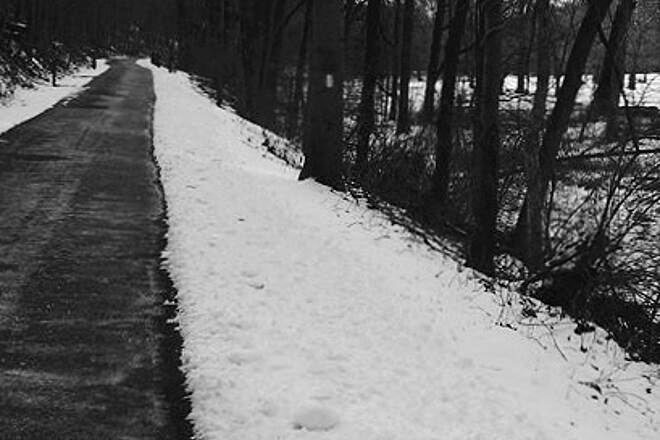 The trail's flat surface makes a perfect setting for amateur naturalists and a tranquil venue for joggers, bicyclists, inline skaters and cross-country skiers. Equestrians are welcome on the undeveloped sections of the trail. 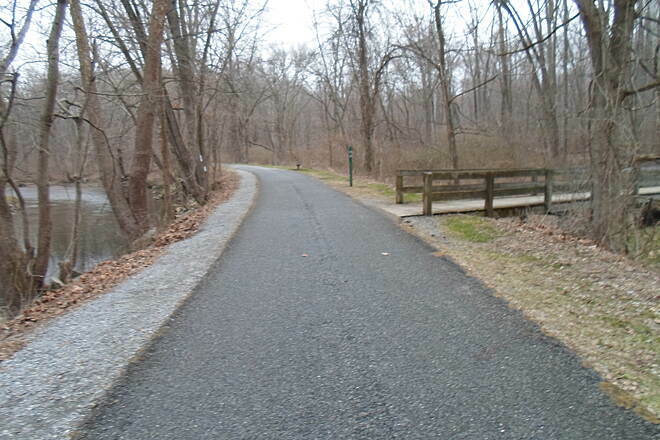 The trail begins right near the downtown section of the pleasant borough of Downingtown right off Norwood Road. 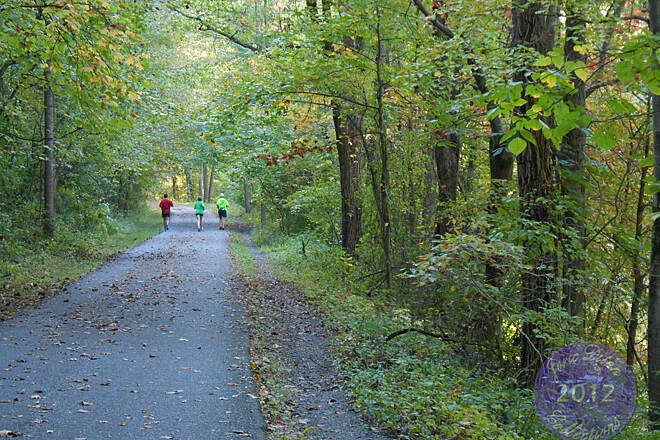 Traveling north, the trail cuts through pleasant wooded areas, a pristine setting in this rural section of southeastern Pennsylvania. 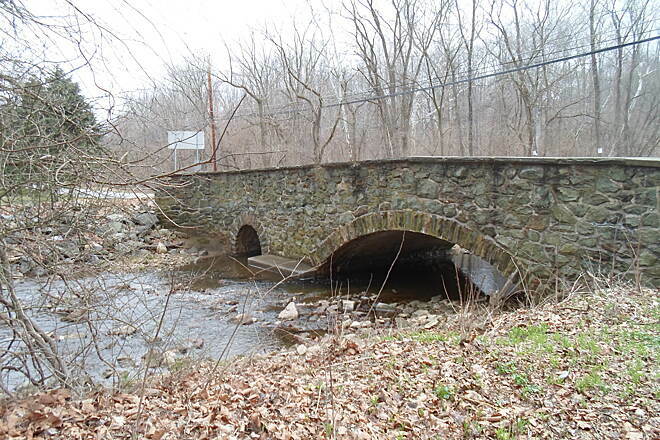 You cross only one road during this journey: Dowlin Forge Road, which doesn't see much traffic. 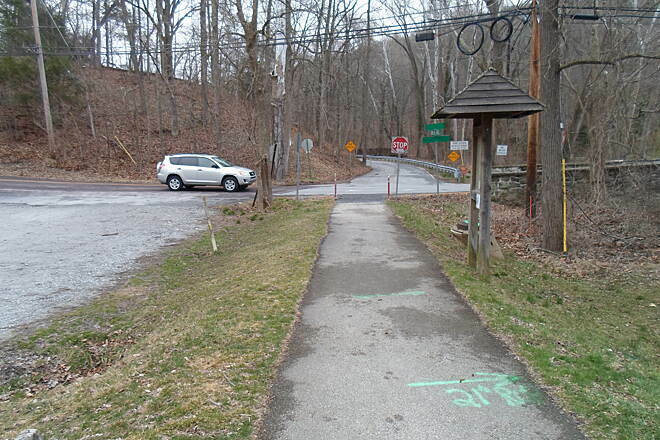 Currently, the trail connects to the 2-mile Uwchlan Trail on the right just beyond this road crossing, which links to residential and commercial sections throughout the township. 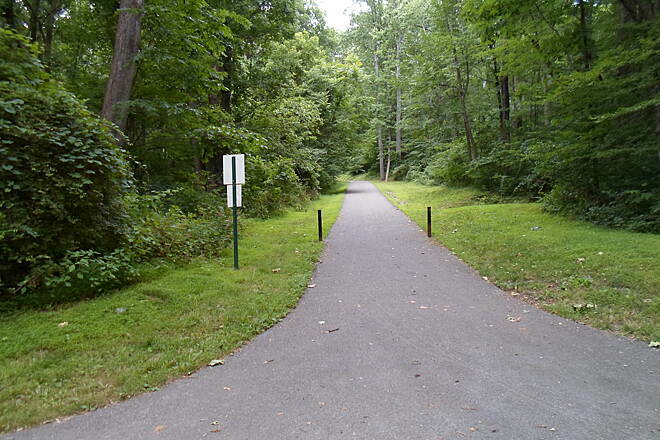 Currently the trail ends south of Marsh Creek Park in Dorlan; however, there are loose plans to develop it farther to the north. 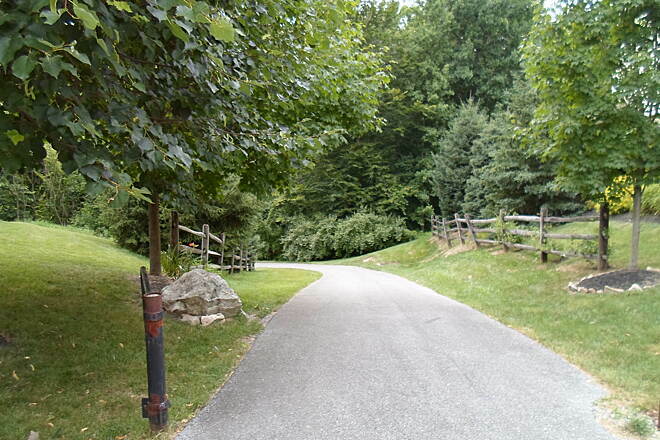 To reach the Norwood Road trailhead from US Highway 30 Bypass traveling west, exit at Route 282 near Downingtown. Turn left off the exit and proceed on Norwood Road under the US Highway 30 bridge. Turn at the second drive on the right, where you see the trailhead. To reach the Norwood Road trailhead from US Highway 30 Bypass traveling east, exit at US 322. 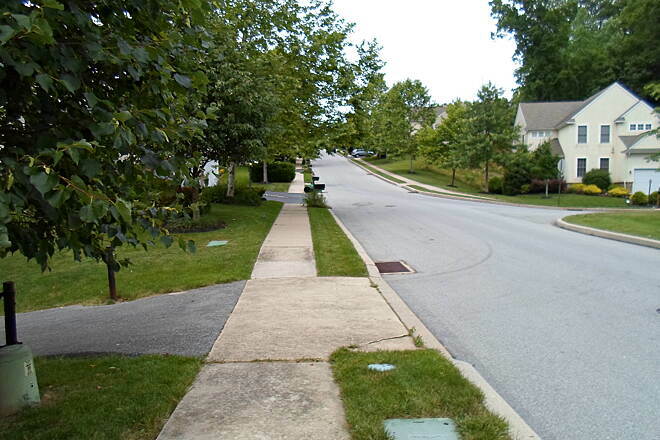 Turn right and go to Pennsylvania Avenue in Downingtown. 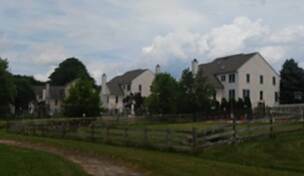 Turn left on Pennsylvania Avenue and proceed to State Route 282. Turn left on State Route 282. Follow and turn right onto Norwood Road. 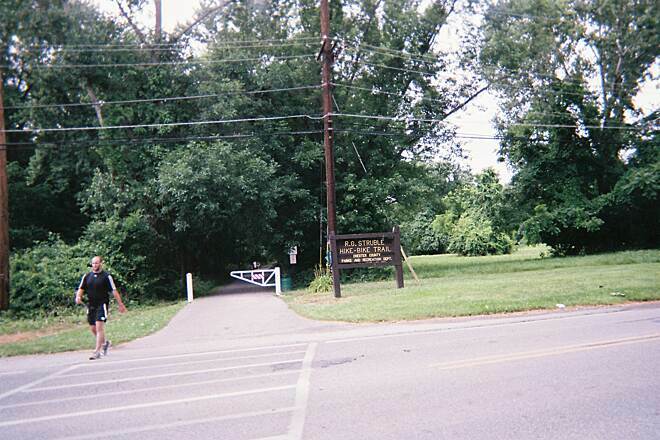 The trailhead is the first left. There is a sign for the parking lot. Very nice paved trail. Mostly flat, thru mostly woods and beside a creek. There are portable toilets to use. 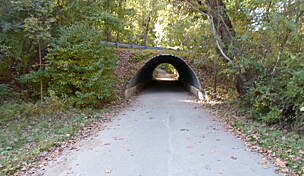 Very fun walk.bike trail. Saw deer. 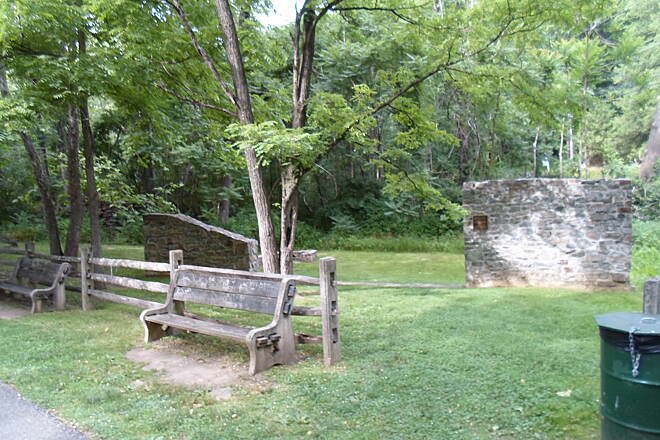 There are benches and picnic tables along the trail. Parking right beside the trail. Nice trail and scenic settings. Convenient parking and landmarks along the trail.A little crowded but for a nice Saturday in spring it was still a nice ride. It's an excellent trail but much to short. 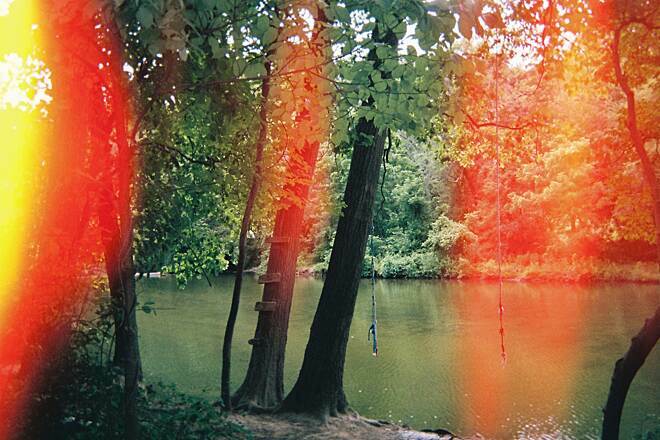 I would like it to go up to Marsh Creek State Park. But it is well maintained and always used by many. I enjoy it but if you go when it is busy, you'll not go over 6mph. I grew up in West Chester, and now live on west coast. My sister still lives outside of Downingtown. My disappointment has always been that the trail does not extend up to Lyndell. 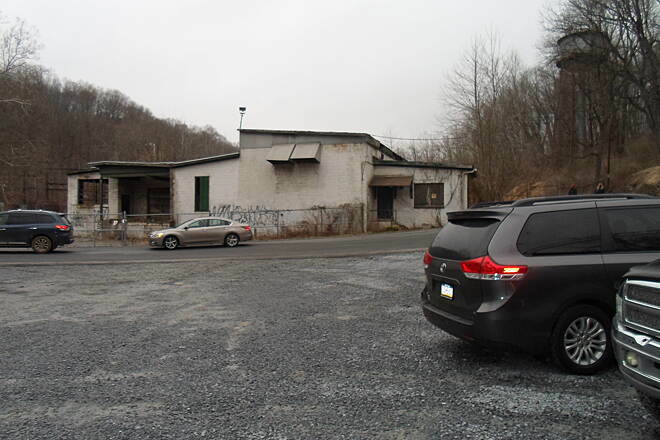 Many residential neighborhoods are in this area west of Marsh Creek, and up Highspire road. 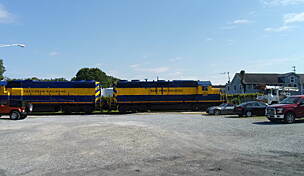 This causes of of these residents to have to use the 282 for a mile, or two to reach the struble trail. I'd like to see better, and safer non motorized connectivity for these residents. 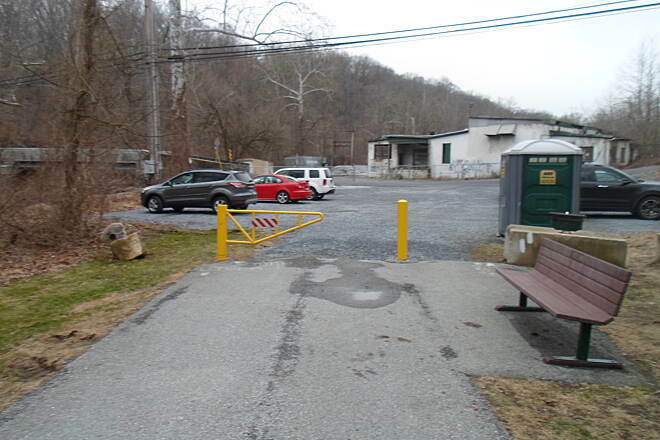 This would also allow Downingtown residents full non motorized access to Marsh Creek trails via Lyndell road trailhead access. 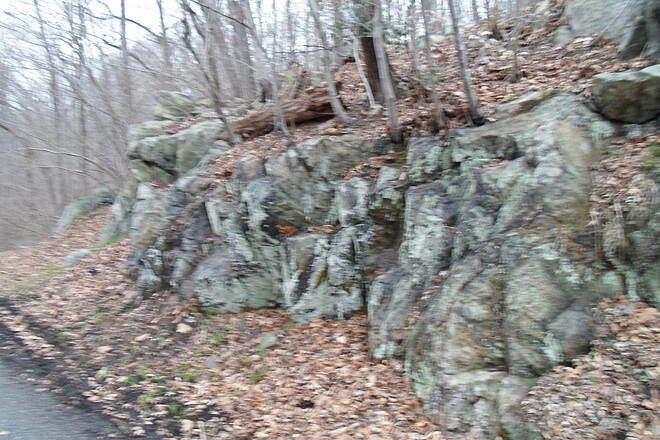 Other than that the trail itself is very relaxing, and peaceful. This is a nice place for a warm up. I really like this trail. It's a bummer how it ends though. Changes here, more to come? 1) The swimming hole along the trail that has been used for years, and was mentioned in the previous review, now has signs up that say "no swimming." 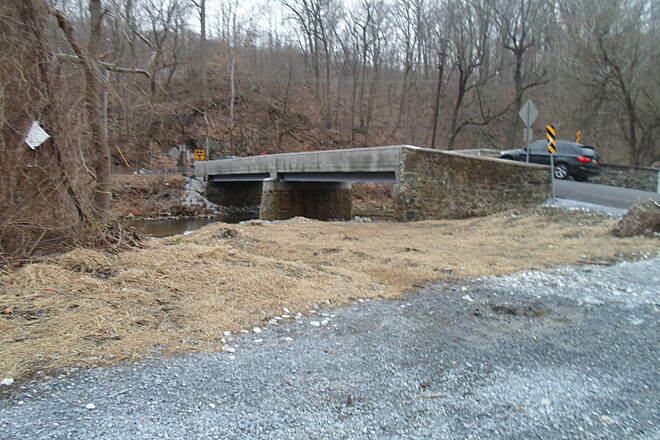 The rope swing has been removed, and the post & rail fence has been extended across the opening to the swimming hole area. Saw a whole family there today reading the signs with towels and sunscreen in hand and a couple very unhappy children. 2) The portion of Struble Trail that extends into Kardon Park has been neglected by Downngtown Boro to the point of being shameful. They have not taken care of removing branches and debris from the race that carries fresh water to the ponds, so the ponds are absolutely choked with algae. They also have stopped properly mowing the areas next to the trail, so the whole area has become an unsightly mess, and a breeding ground for Mosquitos. Why? Because they have plans to sell Kardon Park to a developer who intends to stuff it with 300+ row homes and commercial space. 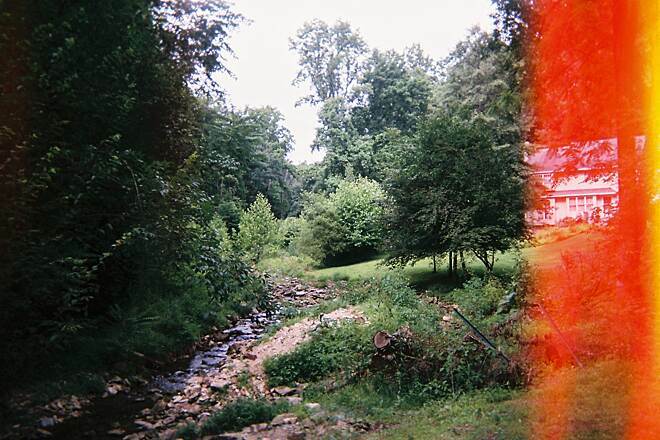 A group of concerned citizens is fighting to save the park in court. The developer says they will leave the trail there for public use, but who really wants to walk or bike through an overcrowded development. Seriously? See "Friends of Kardon Park." on Facebook for more info. 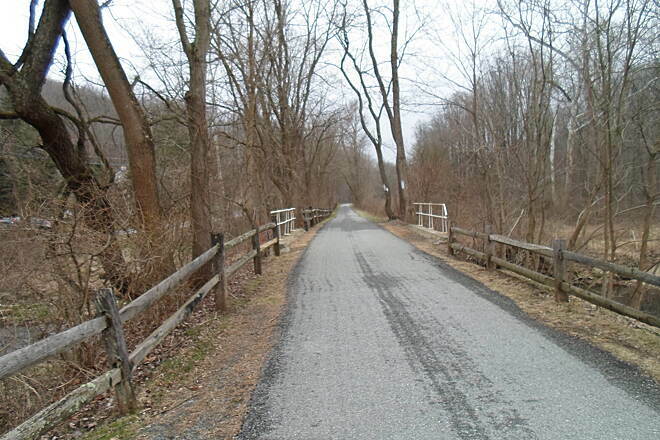 Constructed in 1979 along an old rail line that once connected Downingtown to Honey Brook, New Holland, and thence to Lancaster, the Struble Trail is one of the oldest rail trails in both Pennsylvania and the Philadelphia metropolitan area. 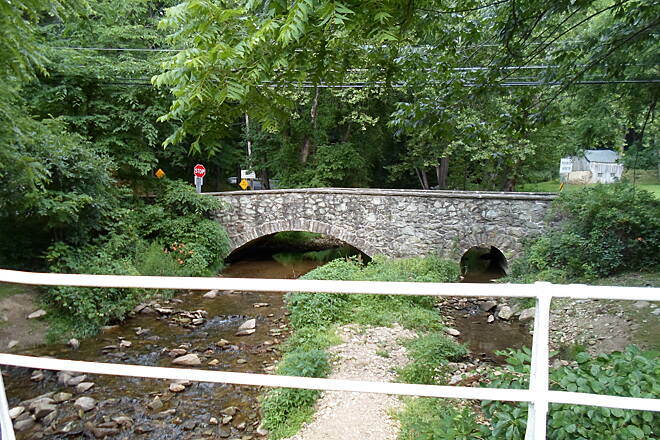 Its paved surface, relatively level grade and the fact that it passes through wooded areas adjacent to the Brandywine River provide a pleasant, serene experience that is a welcome break from the bustling urban suburban environments that dominate this part of the state. 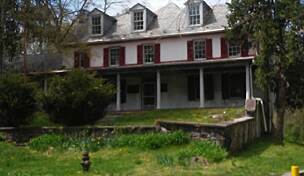 Highlights include the stately Springton Manor Farm, Dowlin Forge Park, which features ruins of several old mills dating from the 18th and 19th centuries and a swimming hole just north of Downingtown (this is not guarded or patrolled, swim at your own risk and observe appropriate safety precautions). 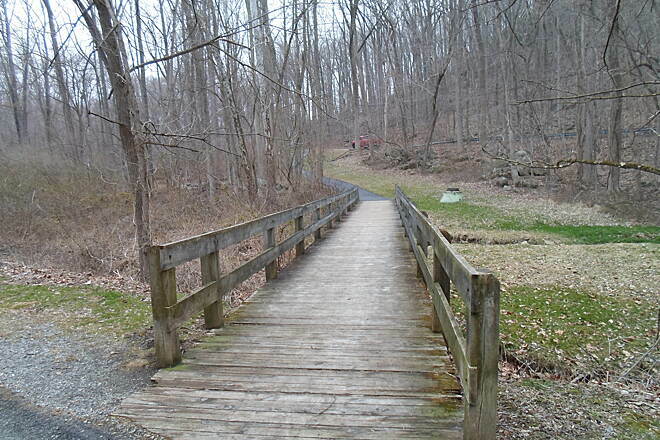 Two other trails, including the Uwchlan Trail, which extends east into the township for which it was named, and an unnamed spur path that climbs a steep hill to a local subdivision, branch off north of Downingtown, and the trail also forms part of the Brandywine Trail, a longer hiking path that connects Valley Forge and Chadds Ford, and is marked by the blazes on some trees. 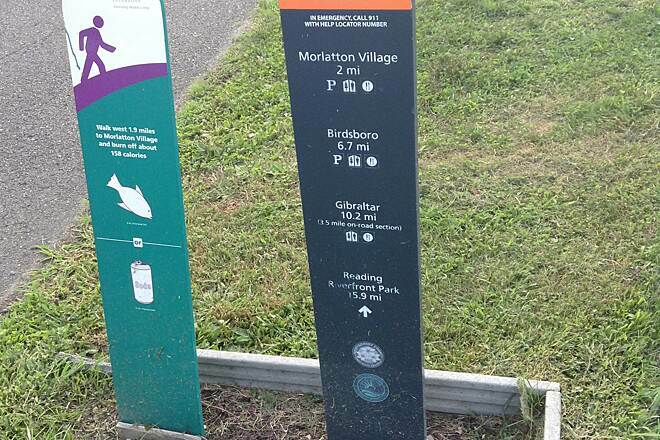 At the southern end, users have the option of either using the trailhead off Norwood RFoad, and or continuing further south on The Lions' Trail, which continues through Kardon Park to a larger parking, situated just a couple blocks from the downtown. 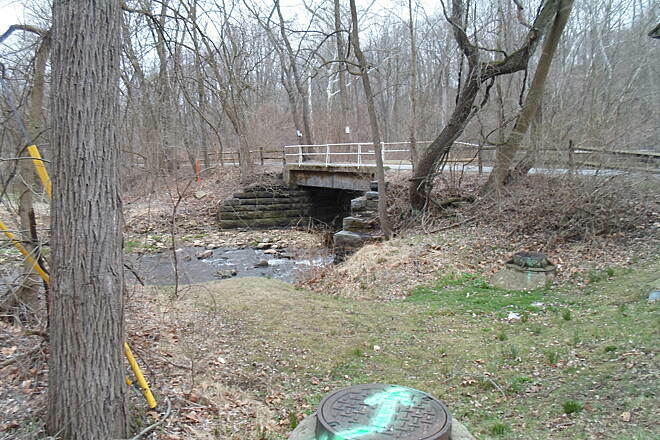 Future plans anticipate the Struble Trail being extended further northwest to French Creek State Park, and, eventually to Honey Brook. 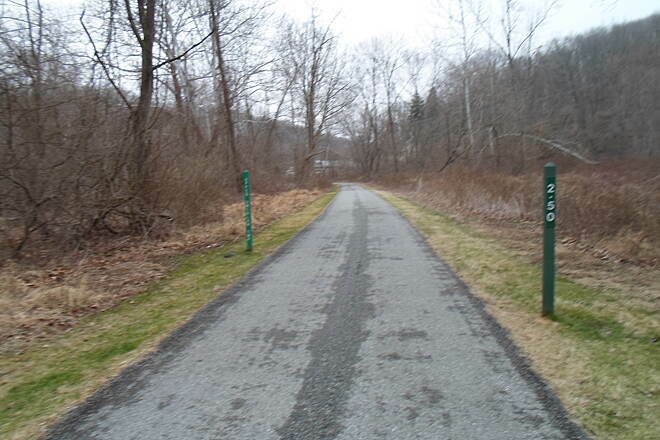 The Uwchlan and Lions' trails may also eventually connect to the Chester Valley Trail, making the Struble Trail an important part of the emerging greenway network that will eventually crisscross southeastern Pennsylvania and beyond. Marsh Creek is Right there too..
Nice to do a warm-up ride up the paved Struble trail to the end, turn right and climb up to the first bend in Dorlan Mills Rd. 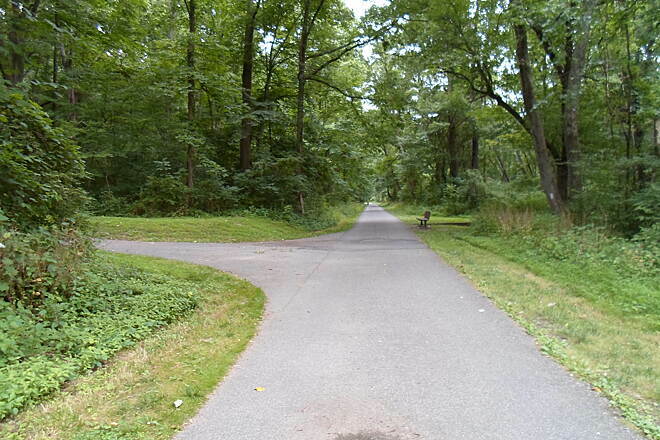 where on the left there is an entrance to Marsh Creek. There is also some limited parking at this point as well. Take the road on the right as the left branch just sort of ends up fizzling out, judging from the deer path we were on. The right hand fork takes you to the bottom of the damn which has one big switchback across it to climb it. Descent little climb makes you feel like there might actually be some decent terrain here. When you get to the top of the damn, you have multiple choices of singletrack and jeep trail. 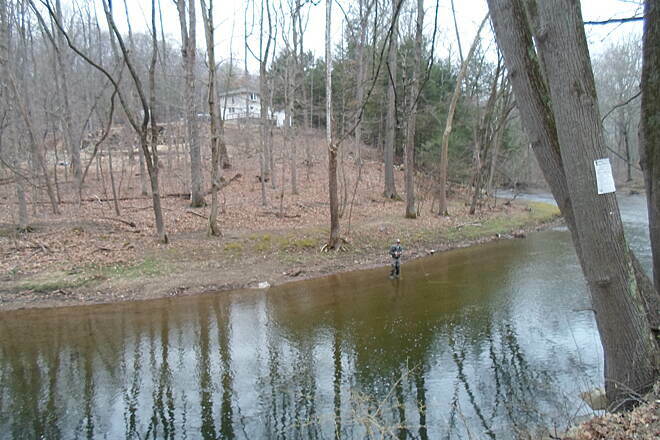 There are two main areas - north east of the damn and north west of the damn. 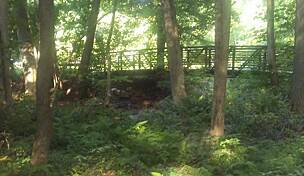 So yeah, Struble trail is really nice heading up along the creek and a perfect jumping off spot for further exploration. The review below "more than just two miles" refers to offshoot Shamona Creek Trail although this is actually the Uwchlan Trail named in the TrailLink.com main description. 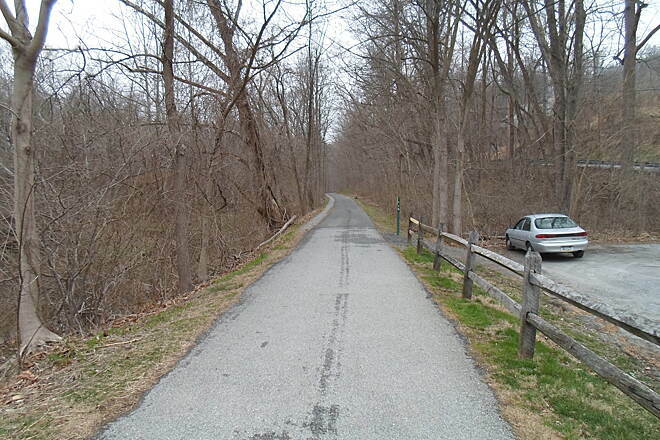 This is a very worthwhile up and down 2+ miles of paved trail that mostly follows a creek and winds through woods. Moderately hilly although mostly downhill on the way back! 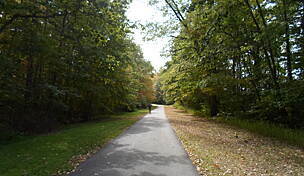 The Uwchlan Trail's east end is just beyond a country club where an unnamed biking path picks up and weaves it's way through a quiet residential development and corporate park both under the name Eagleview. You could easily add another 2-3 miles safely riding around here. If you are looking for a place to stop and browse a bookstore/coffee shop, ride into the small commercial area visible from the trail. There is also a nice bar/restaurant here with outdoor seating and a place to park bikes. For another way to extend the ride, continue from Struble Trail's south end to where it dead ends at Creek Road (Rt 282)/Norwood Road. Cross Norwood Road directly to this unnamed paved path that winds through a wooded area for about one-half mile and into a gravel parking lot. If you follow the lot to the sidewalk and take a right, you can ride comfortably along past sandwich shops, a big drug store and eventually a convenience store on the other side of the first traffic light. Just beyond the convenience store is Kerr Park where you can easily find a way to get in another relaxing mile or so. There's lots of shade and an excellent children's playground on the north end. 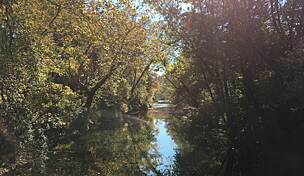 For the adventurous, take the trail south though Kerr Park to where it dead ends at Lancaster Avenue. Turn right and walk your bike about 50 yards to a marked crosswalk. 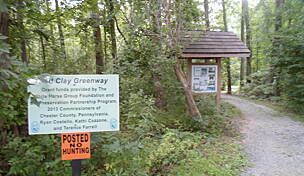 On the other side of the avenue the trail continues alongside Brandywine Creek, ambling to a dead end after about a mile. 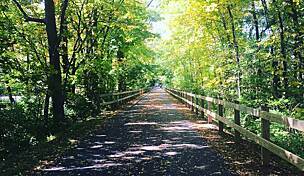 It's not much but if you're looking to get everything out of your Struble Trail area experience, it's worth it. 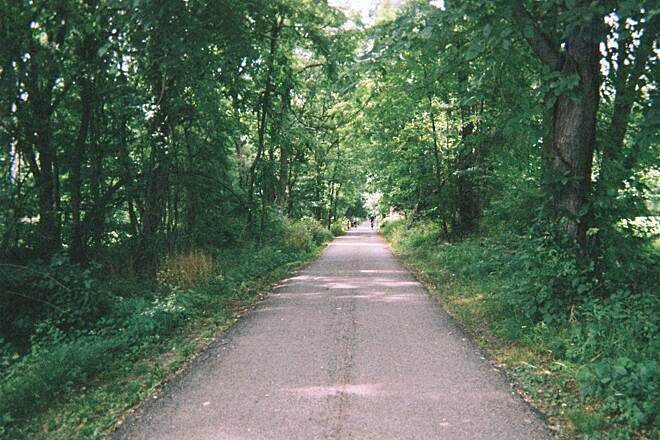 I live locally to this trail and have many fond childhood memories here. I noticed that Under the activities section, it note "wheelchair" as an option. Not only do I feel that it is nice to note that it is handicapped accessable, I think it would be good to mention there is an "all Abilities" (and otherwise really nice) playground with picinic area down the road from here. I don't see many of the handicapped accessable parks around, so I figured it would be worth mentoining for those looking for anything like it. Hope this helps someone out. 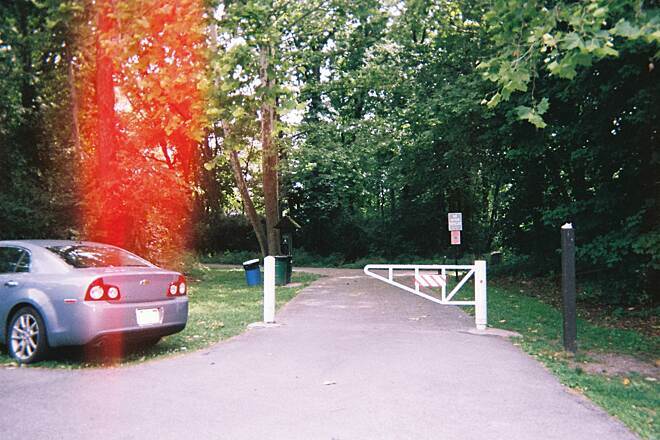 When leaving Struble Trail, make a right out of the parking area. This almost immediately puts the rite aid on your right side. At the light you will make a right. There is a lane on the left that will go behind the buildings there and there is a prking area from which you shoutl see playground equipment. 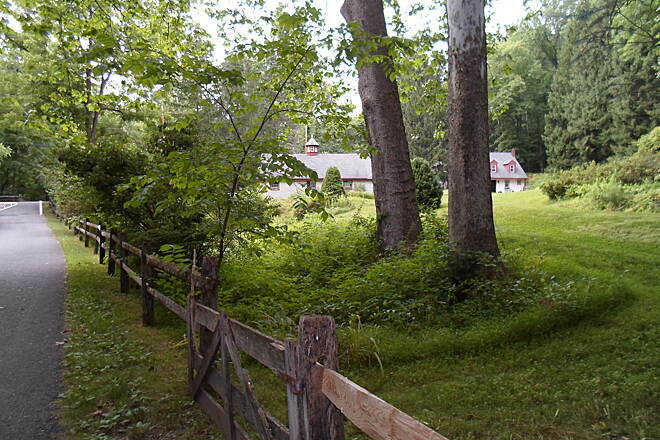 It isn't that hard to find, plus there are lots more paths on that side that will lead you to the basketball courts, pavillions, or over to the Creek. 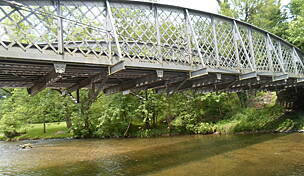 "Although the description shows 2 miles, you can make this more than a 2 mile trip. 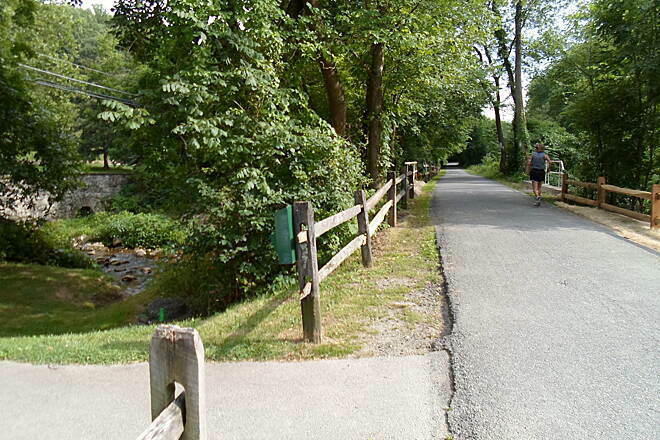 If you start in Downingtown you will find a connecting trail at about 1.75 miles. It turns off to the right (there is a parking lot next to the turn off). 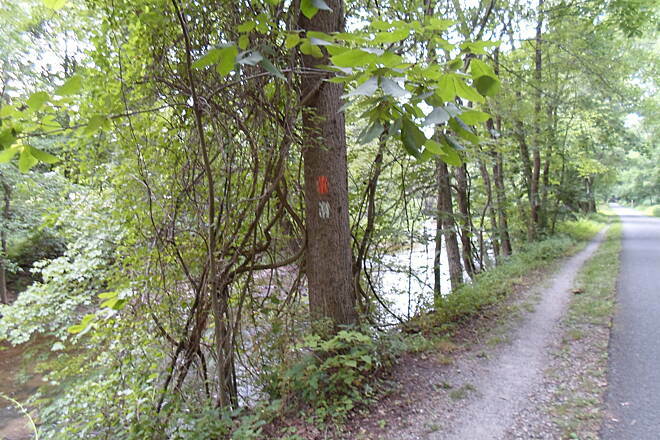 Traveling this trail will take you on a winding trail about a mile thru woods along a lovely creek. 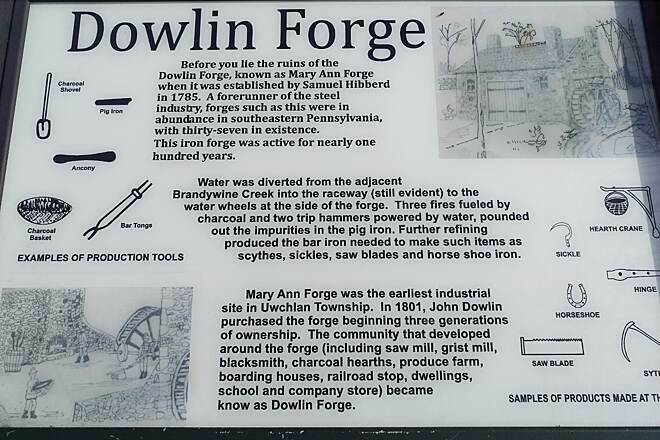 There are also plaques describing the mill that once sat on the property and the way the area was used for charcoal production and the mill race that powered the mill. 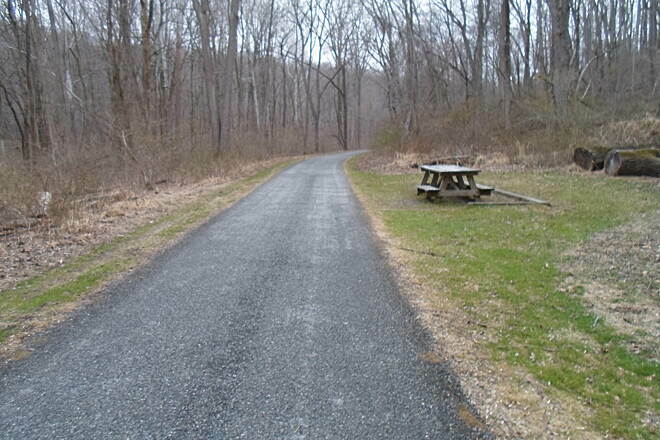 Both trails are paved. Both are primarily in shade. 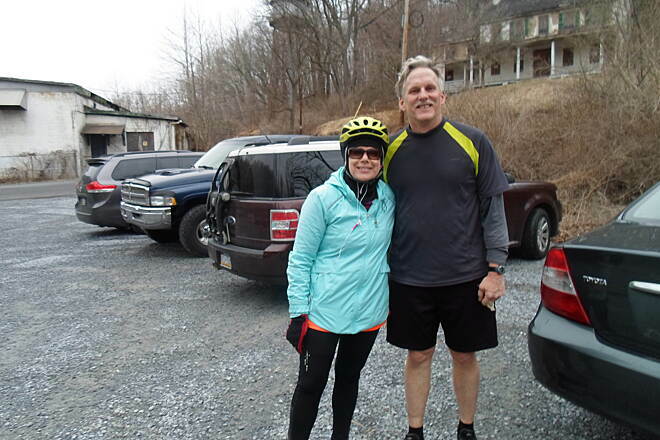 If you go from Downingtown to the end of the Struble trail, plus take the Shamona Creek trail as well, you'll do a total of about 7 to 8 miles. 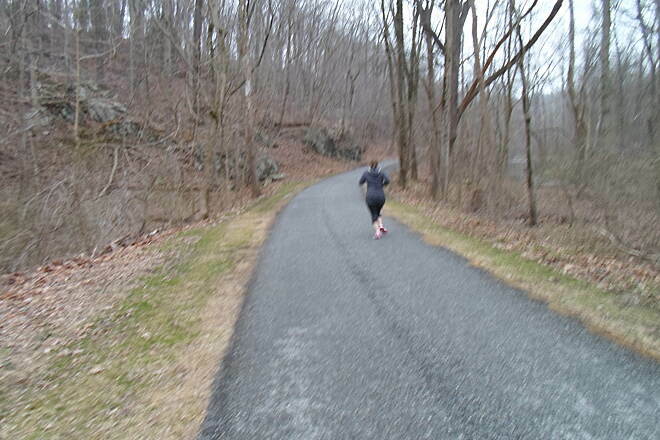 In training for the Breast Cancer 3-day." 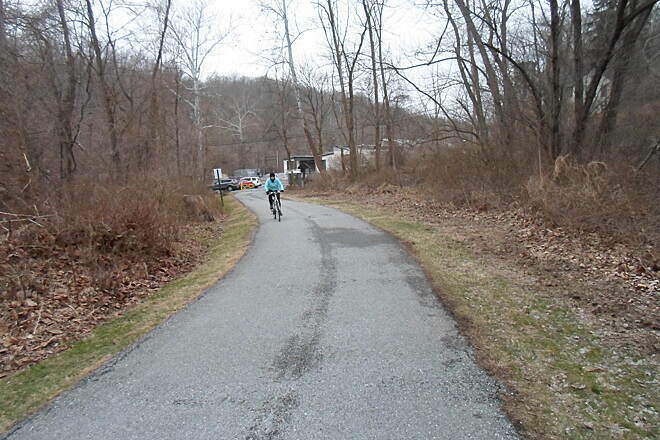 "I rode the trail yesterday with my son on a ""trailer bike"" and my wife on her bike. The trail is all paved now. It's a good little ride, more for families with little ones as it's really short. However, we did see a deer about 5 feet away and some rabbits too. 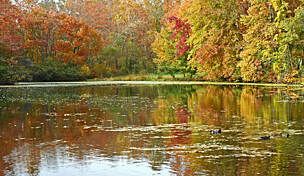 It's a good place for the kids to ride on a tricycle or bicycle with or without training wheels."